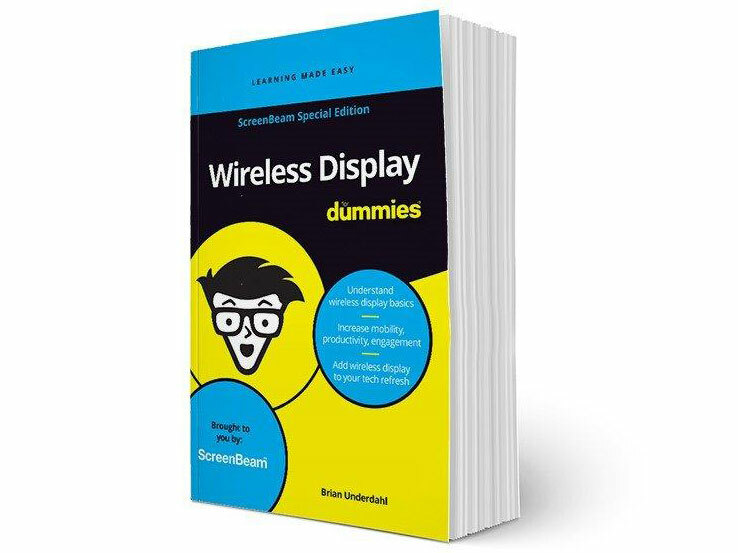 New eBook: Wireless Display For Dummies is here! Wireless display is helping organizations and schools realize true mobility in conference rooms and classrooms around the world, boosting collaboration, participant engagement and delivering real productivity dividends. Modern wireless display technology enables users to wirelessly extend or mirror content from a laptop, tablet or smartphone to a display or projector without cables or connections. This frees users from the physical limitations of cables, allowing for quick connectivity, complete mobility and interaction. Wireless Display For Dummies dives deep into understanding wireless display and the benefits that go along with it. Organizations are using wireless display as a business solution to simplify meeting set-up, increase the collaboration between presenter and participants and achieve significant productivity benefits. Schools are using wireless display to connect with their students by providing teachers with the mobility they need to actively manage their classroom, engage with their students and collaborate with the content being presented. To learn how your organization or school can benefit by wireless display, get your free copy of Wireless Display For Dummies today.